While fire suppression and mechanical heating/cooling piping assessments have been most common the system types SoniTech NDT has evaluated, Ultrasonic Localized Guided Wave (ULGW) has many other valuable applications. SoniTech can perform pipe integrity surveys on almost any accessible metallic (and some plastic) piping systems. Contact Us for your unique pipe inspection needs, even if you don’t see your application listed below. 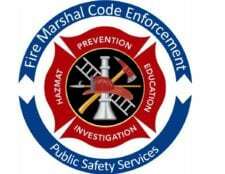 Although the NFPA required evaluations are performed on fire sprinkler pipe, this “code mandated” application is slightly different from the voluntary preventative maintenance or reactive assessments referenced earlier. Other options are available to satisfy these codes, however the cost and level of risk can but much higher with those methods, rather than using the accepted alternative of Ultrasonic Localized Guided Wave evaluation. Depending on the edition, Chapter 14 of NFPA 25 requires an Internal Piping Condition and Obstruction Investigation to be performed every 5 years or in accordance with 14.2.1.2. The typical method to satisfy 14.2.1 and provide “reasonable assurance that the system is free of corrosion and obstruction issues” is to open the system for visual inspection, or as an alternative for wet systems, submit a water sample to a lab for analysis. Depending on facility characteristics, these can be very costly and risk intensive procedures, especially when a facility has multiple systems…but yet they are still required tests per code. SoniTech’s UGLW ultrasonic investigation is allowed as an alternative method to satisfy this requirement. Ultrasonic Localized Guided Wave is faster and safer than other methods, and does not require system shut down; eliminating the risks associated with spilling water or dropping tools on nearby equipment and property, and no risk getting the system back online after testing since the system is never shut down. NFPA 25 section 14.3 requires an Obstruction Investigation when any of the listed 15 conditions in section 14.3.1 exist, irrespective of timing of the 5-year. Like the 5-year required in 14.2, SoniTech’s ULGW is accepted for 14.3 as a lower risk alternative because it can detect the presence of sludge, scale, corrosion adhered to the pipe walls, air pockets in wet systems, and water pockets trapped in dry/pre-action piping. All testing is performed from the outside of the pipe with the system remaining online which eliminates the risk of damaging equipment or property when opening the pipe for visual inspection, and there is no risk of issues getting the system back online after testing. Section 14.4 of NFPA 25 states that dry or pre-action systems that pass through freezers or cold storage rooms must be inspected internally on an annual basis for ice obstructions at pipe penetrations between the warm and sub-freezing areas of the facility. Since these systems enter areas well below the dew point, water vapor in the air drawn in through the compressor can freeze against the pipe wall, creating a dangerous obstruction. The difficulty lies in performing the required investigation without exposing the cold pipe to additional “humid air” thereby fueling the very issue you are trying to prevent. Under NFPA 25 section 14.4.1, ULGW is accepted as an alternative investigation method to satisfy the 14.4 Ice Obstruction inspection and since the testing is done without opening the system, humid air is kept outside of the pipe which prevents additional water vapor freezing within the pipes. Since the system is tested while fully operational, there is no risk of issues getting the system back online. Modern manufacturing processes have grown increasingly complex over the years, as have the piping systems that support them. Like any mission critical process, relying on compromised pipe or shutting these systems down unnecessarily can be very costly. SoniTech’s Ultrasonic Localized Guided Wave survey services can map almost all internal issues within most process piping, all while leaving the system fully operational. 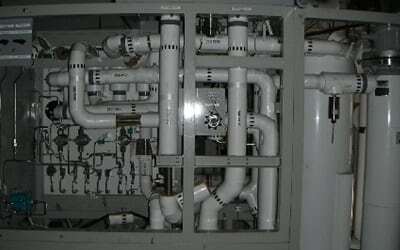 Contact Us to discuss evaluation of these or any other unique piping systems. As a lightweight, low cost, easy to install option, HDPE pipe has many advantages in the mining industry for solution mining, process water, slurry, tailings transport, etc. While HDPE is a valued asset in the industry, there are three primary shortcomings that can result in costly losses but are difficult to detect. Preventative assessments can be very costly, often requiring engineers to operate with insufficient information, however SoniTech NDT’s reporting has been able to bridge that gap. Traditionally, ultrasound has not been a preferred inspection method for HDPE pipe…until SoniTech NDT developed its noninvasive technique for HDPE. In an attempt to maximizing productivity, pump head pressure can be turned too high for the rating of the pipe, which happens when engineers do not know the SDR of the piping in the system. Over pressurization causes high potential for dangerous and costly ruptures, and causes unnecessary environmental hazards. SoniTech has the capability of mapping SDR transitions, allowing engineers to safely maximize production, while appeasing governing bodies like MSHA and state or federal governments. Velocity erosion eats away at pipe walls, reducing the safe pressure limits within the pipe. The difficulty lies in knowing how thin pipe walls have become, which dictates both the maximum allowable volume/pressure and an estimate on remaining useful life. By mapping wall thicknesses within the piping circuit, engineers will know safe operational capacities. When these thicknesses are mapped over a period of time, erosion rates can be extrapolated and help provide an estimate on remaining useful life of the pipes. Due to temperature fluctuations and interaction with certain chemicals, HDPE pipe walls can become brittle and develop dangerous longitudinal cracks that could rupture at any time, creating safety risks and environmental hazards. SoniTech is currently developing a technology to identify the location and severity of these cracks, allowing for safe replacement of compromised pipe without the costs of failure or unnecessary pipe replacement. High-rise buildings, hotels, public venues, and large manufacturing facilities can have substantial hot and cold piping networks. Although evaluation is not mandated by code, failures of these systems result in disruption of services, lost revenue, and can cause very expensive property damage. SoniTech’s Ultrasonic Localized Guided Wave inspection services can nondestructively map internal velocity erosion, pitting, and corrosion buildup with these copper and steel piping systems. Learn the severity of internal issues without system shutdown and with little to no logistical outlay for the facility.